Beauty news, affordable dupes, product reviews, swatches and discounts. Here are swatches comparing some Colourpop Ultra Matte shades next to similar lippie stix shades. Thank you @2brokebelles on Instagram for sharing these swatches with us. Here are swatches comparing Colourpop "Bumble" ($6) next to Kat Von D "Double Dare" ($20). Thank you @xxojess_ on Instagram for sharing these swatches with us. 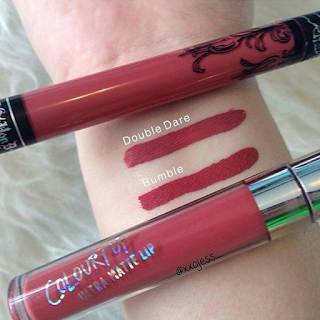 To see more dupes for Kat Von D "Double Dare," which would also be considered dupes for Colourpop "Bumble," click here! 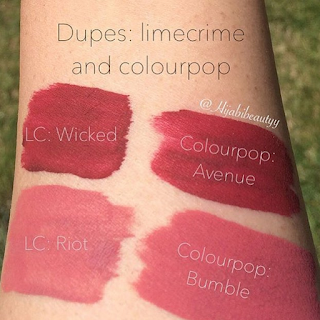 Here are swatches comparing Colourpop "Bumble" ($6) next to Lime Crime "Riot" ($20). Thank you @hijabibeautyy on Instagram for sharing these swatches with us. To see more dupes for Lime Crime "Riot," which would also be considered dupes for Colourpop "Bumble," click here! 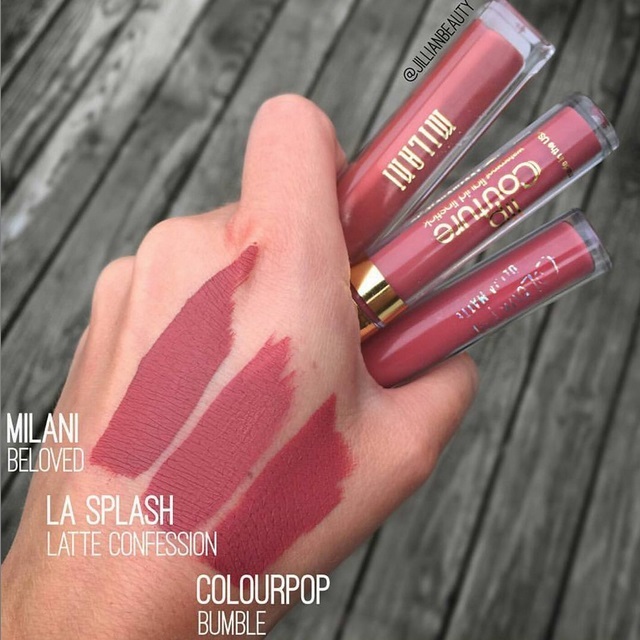 Here are swatches comparing Colourpop "Bumble" ($6) next to LA Splash "Latte Confession" ($14) and Milani "Beloved" ($9). 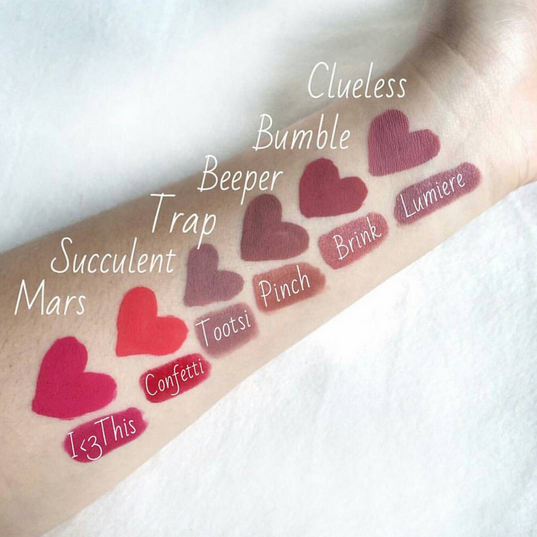 Thank you @jillianbeauty on Instagram for sharing these swatches with us.